The campaign to build the AT&T Performing Arts Center was one of the most ambitious cultural projects in our nation’s history. 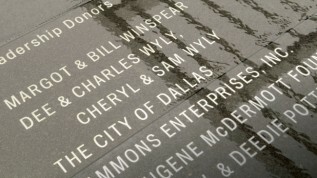 More than $300 million was raised to design and build the Margot and Bill Winspear Opera House, Dee and Charles Wyly Theatre, Annette Strauss Square and Elaine D. and Charles A. Sammons Park. By the time the Center opened in 2009, 95% of the fundraising had come from private families, individuals, foundations and corporations. When the venues were completed, they were gifted to the City of Dallas and its citizens to enjoy for generations to come. This campus of exceptional venues and the many talented artists, visitors and volunteers who breathe life into these creative spaces have served to raise the city’s cultural profile and spur economic growth. In order to complete the project on time and on budget, the Center procured construction financing while the robust capital campaign continued. However, the 2008 global financial crisis negatively impacted the bonds and caused philanthropic giving to largely dry up for subsequent years. The Center has launched a final campaign, Fulfilling the Vision, to complete the original capital phase and close out its remaining construction costs. 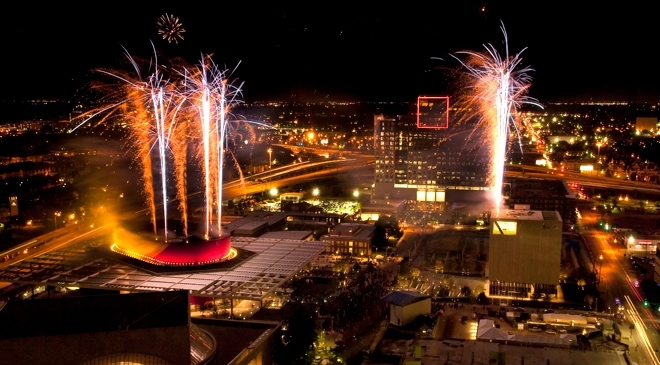 Once this is resolved, the Center will be able to further provide affordable and accessible arts activities to our community, provide greater cost savings and major administrative support to its five resident companies, grow education programs to engage more students and teachers, boost performance access for students, and create more effective education initiatives. Please contact Meagan Hemenway, Director of Development at meagan.hemenway@attpac.org or 214-978-2890.